Usually, that’s the set-up for a bad joke about the more unscrupulous members of the legal community. But when it comes to Matt Murdock, the answer is actually pretty impressive. Murdock is probably the best lawyer in New York—a real honest, upright, hard-working man trying to make the world a better place. See? There are good lawyers out there! Oh, he’s also a superhero, Daredevil. Okay, that might be the biggest selling point when it comes to convincing us that he’s not all bad, as far as lawyers go. Daredevil is pretty amazing, actually, even ignoring the fact that he’s a lawyer who manages to be an actual good guy. He also manages to do more with four senses than most people could ever do with five. That’s right… he’s a blind superhero. But that doesn’t slow him down at all. He’s more than able to take down muggers, thieves, carjackers, crime lords and the occasional man on stilts (yes, he really did fight Stilt-Man, and Stilt-Man really is all that his name implies). He’s the Devil of Hell’s Kitchen… and he’s cooking up an extra serving of justice! Step into the shoes of the Man Without Fear with this Deluxe Daredevil Costume for Men. 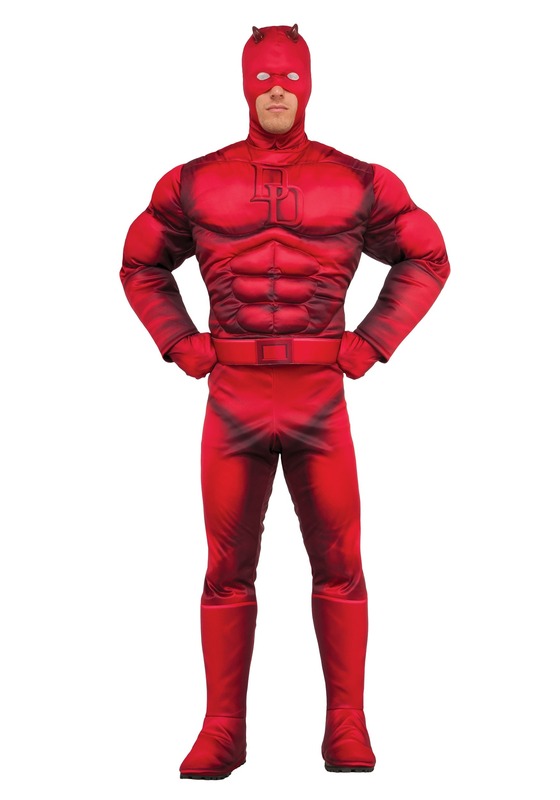 The officially licensed red jumpsuit comes with soft-sculpted muscles so you don’t have to worry about not measuring up to superhero standards. 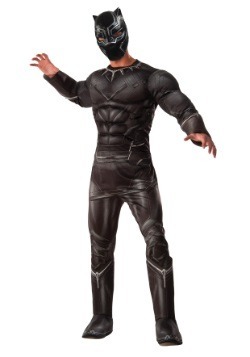 It also comes with a belt, attached boot covers, stretchy red gloves and a full head mask with attached rubber horns. This costume hits the mark better than Bull’s Eye and is more elektra-fying than a Greek assassin with a pair of sais. Is it a crime to look this good? Even if it is, don’t worry… you’re a lawyer!